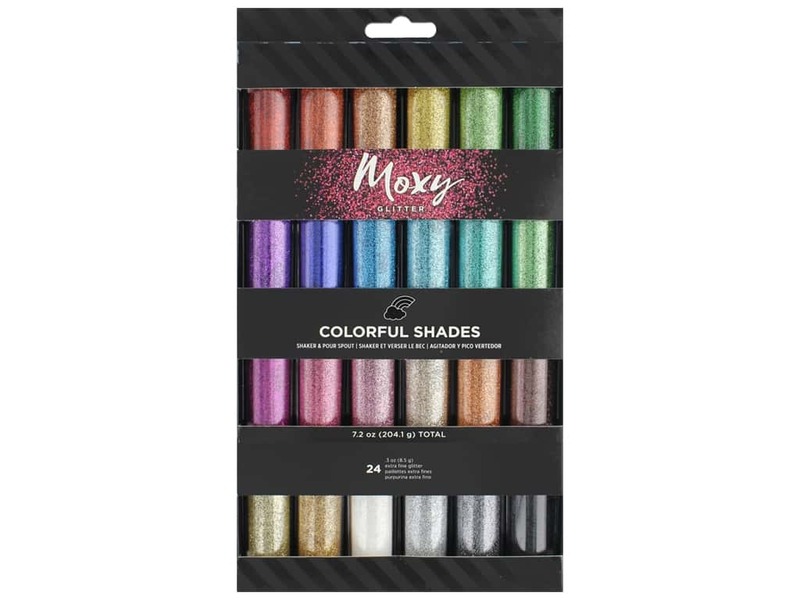 Description: American Crafts Moxy Glitter adds dazzling color and sparkle to projects that's impossible to resist. Each Moxy Glitter Jar features shaker and pour spout lids with approximately .3 oz of extra fine glitter. Colors are crimson, cranberry, apricot, mustard, grass, jade, turf, ocean, lagoon, peacock, sapphire, eggplant, grape, taffy, bubble gum, sand, copper, coffee, slate, charcoal, bright silver, white, brown sugar, and gold. See more American Crafts Moxy Collection.